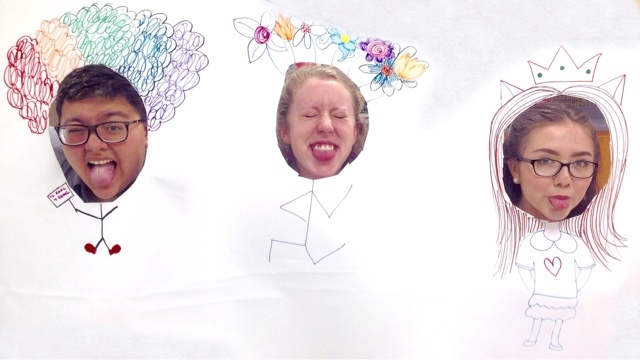 Art With Mr. E: Practicum Take Over!!! 'My practicum students created & taught their own lessons this week!! It has been fun to watch them as they see success & areas that need improvement. As a teacher of many many moons.....it is so energizing to see young educators start to discover who they are!! 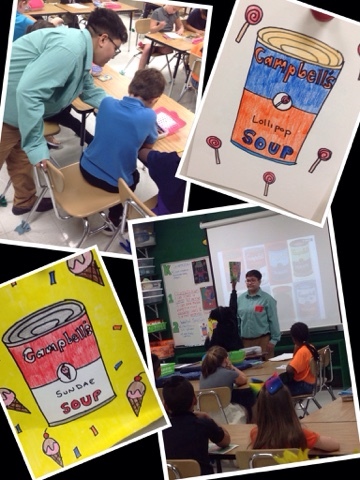 Ms. Wilson did a POP ART lesson focused on Andy Warhol's Campbell's Soup Cans. 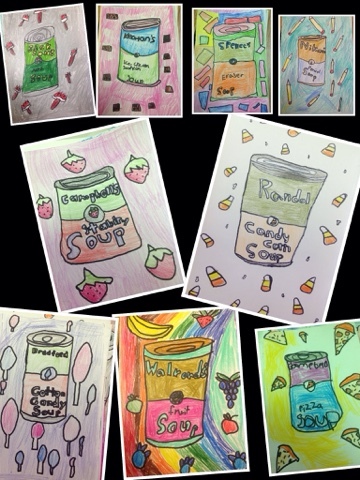 The kids loved creating their own wacky flavors. 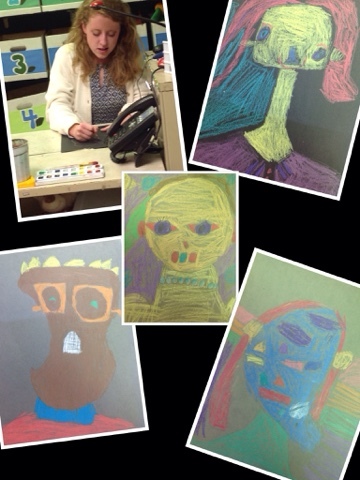 Ms. Saunders focused her lessons on Picasso & him abstracted portraits. 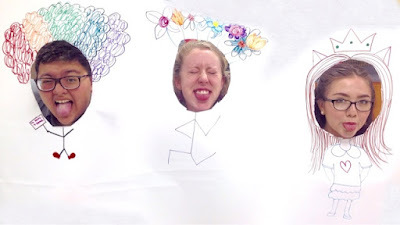 The students laughed so much as they created versions of themselves with eyes, ears, and mouths going every which way! 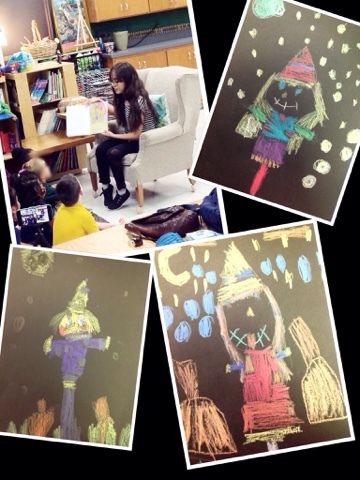 They also enjoyed using construction paper crayons. Ms. Alday read to the students a story about scarecrows. The students focused on using shapes to create their works of art. They also used construction paper crayons. The practicum students are doing an amazing job...and my students are really enjoying them being here at our school!! It is really a win-win situation if you are on the fence about practicum students! !